Despite the call for a transformation of teacher education in the 21st century, surprisingly little has changed. This includes how the practical, hands-on component, known as a field experience is structured. Previous research, conducted in 2010, specifically examining how teacher education programs address K-12 online learning through their field experiences found that only seven programs nationally, or 1.3% of responding programs, offered such an experience. In comparison, the current study found a small expansion that includes 15 programs across nine states, representing 3.5% of responding teacher education programs. Despite being limited, there appears to be slow, targeted growth, particularly in contexts in which partnerships have formed between teacher education programs and K-12 online providers. However, while signs of progress are evident, significant work to move the field forward with respect to K-12 online teacher preparation remains. Archambault, L., Kennedy, K., Shelton, C., Dalal, M., McAllister, L. & Huyett, S. (2016). Incremental Progress: Re-examining Field Experiences in K-12 Online Learning Contexts in the United States. 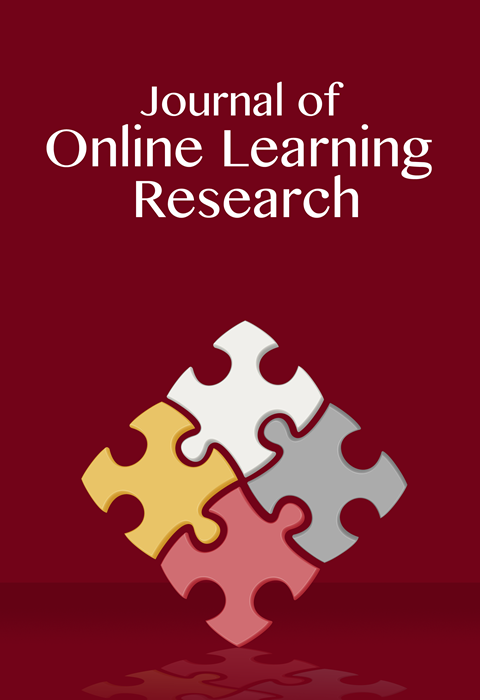 Journal of Online Learning Research, 2 (3), 303-326. Waynesville, NC USA: Association for the Advancement of Computing in Education (AACE). Retrieved April 21, 2019 from https://www.learntechlib.org/primary/p/174116/. Blair, E. & Blair, J. (2015). Applied survey sampling. Los Angeles, CA: Sage. Buck, G., Morsink, C., Griffin, C, Hines, T., & Lenk, L. (1992). Preservice training: The role of field-based experiences in the preparation of effective special educators. Teacher Education and Special Education, 15(2), 108-123. Christensen, C.M., Horn, M.B., & Johnson, C.W. (2010). Disrupting class: How disruptive innovation will change the way the world learns, 2nd Ed. New York: McGrawHill. Dillman, D.A. (2010). Email and Internet surveys: The tailored design method (2nd ed.). New York: Wiley. Gemin, B., Pape, L., Vashaw, L., & Watson, J. (2015). Keeping pace with K-12 online& Blended learning: An annual review of policy and practice. Evergreen, CO.: Evergreen Education Group. Hatch (2002). Doing qualitative research in education settings. Albany, NY: State University of New York Press. Irvine, V., Mappin, D., & Code, J. (2003). Preparing teachers to teach online: The role of faculties of education. In D. Lassner& C. McNaught (Eds. ), Proceedings of World Conference on Educational Multimedia, Hypermedia and Telecommunications (pp. 1978-1981). Chesapeake, VA: AACE. Kennedy, K. (2010). The essence of the virtual school practicum: A phenomenological study of pre-service teachers’ experiences in a virtual school. University of Florida, Gainesville, FL. Wiggins, R.A., Follo, E.J., & Eberly, M.B. (2007). The impact of a field immersion program on preservice teachers’ attitudes toward teaching in culturally diverse classrooms. Teaching and Teacher Education, 23(5), 653-663.